Leonard Baskin. Dog in the Meadow. 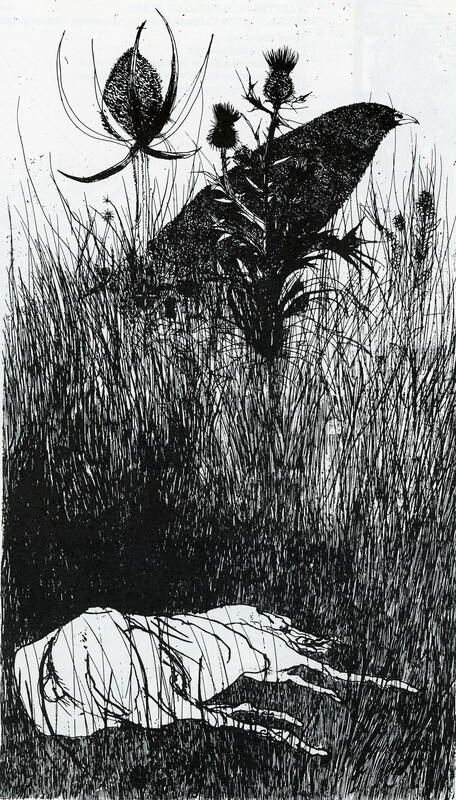 Etching, 1964. In: Alan Fern and Judith O'Sullivan, The Complete Prints of Leonard Baskin. NY: Little, Brown & Co., 1984, p. 158. The world of prints is fascinating, complex, and at times arcane, with an extensive literature devoted to cataloging, identifying, documenting, and categorizing prints. The resources listed in this guide will help you to find information on a variety of interrelated topics, including how prints are made and how to identify them, the critically important catalogues raisonnés for prints/printmakers, the history of printmaking in the Western world, and how prints are part of a wider social and political culture. Tabs across the top of the guide will help you with finding biographical information on printmakers, finding books, websites, and articles on prints, printmaking, and printmakers, finding images, and many other aspects of print research. Other techniques include monotypes, digital prints, and combinations of more than one technique. Prints exist in multiples. Each impression is considered to be an original. The total number of prints (or impressions) made of one image is an “edition.” The number may appear on the print with the individual print number as a fraction, such as 5/25, meaning the particular print is the fifth of twenty-five produced. Reproductions are often incorrectly referred to as prints. Items advertised as fine-art prints or limited edition prints are sometimes photomechanical reproductions of paintings or drawings. Such reproductions use the same commercial printing processes used in producing magazine illustrations and the artist’s involvement is not required. Reproductions are less expensive than originals but they are not considered original artworks. See the box below to find guides to other specific or specialized areas of art research.